Mayor Tim Keller today joined University of New Mexico (UNM) President Garnett Stokes and University of New Mexico Health Sciences Center (UNMHSC) Chancellor Dr. Paul Roth to launch an innovative new partnership to address the challenge of homelessness in Albuquerque. 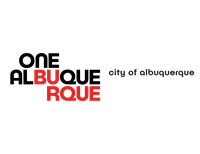 Together, they signed a letter of intent that highlights the City’s recognition of homelessness and its underlying causes as an area of significant need for the community and commits the trio of deeply-rooted Albuquerque institutions to further action. It also points to the historic and ongoing commitment UNM and UNMHSC have made to collaborating with community partners like the Albuquerque Police Department and the County of Bernalillo in tackling this issue. Launching a Steering Committee to identify opportunities to collaborate in the above areas and to carry out the action necessary to realize the goals of the letter, and to reach out to other partners for additional collaboration as needed. View a PDF of the City of Albuquerque and University of New Mexico Letter of Intent.